The good thing about crazy pants is that a) they attract monsters and b) they can cover your bicycle well, leaving less for me to draw! Maybe now i should get a pair of crazy pants…the monsters look like fun pals! 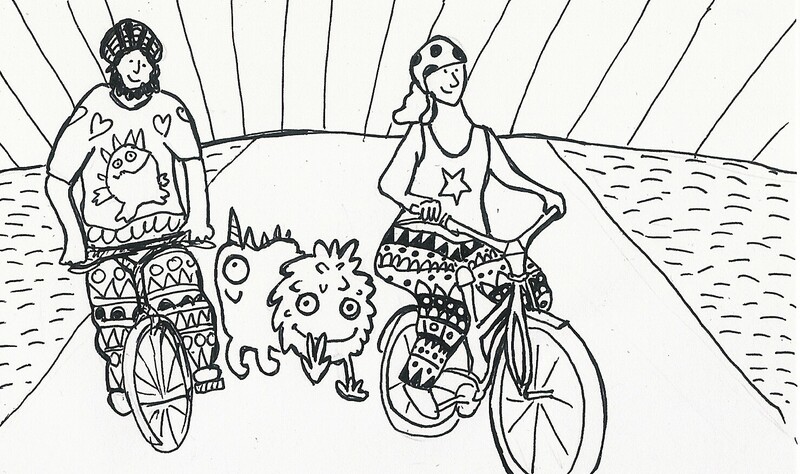 I wonder what is more difficult to draw, the bicycle, the monster or the pants ?